Former NetOne Chief Executive Officer, Reward Kangai has come out guns blazing accusing Zimbabwe Anti Corruption Commission of attempting to whitewash the corruption charges against the ICT Minister, Supa Mandiwanzira. Kangai said ZACC was wrong to investigate a case of money paid to Megawatt when his report was that there was an attempt to pay the money, a clear breach of procurement procedures at the parastatal. “This is an attempt to whitewash the case against the Minister. I never made a report that the money was paid. If it was an attempted murder, would the police go on and investigate a murder case,” said Kangai. “The point is I stopped the country and Netone from losing $4 million and here somebody is trying to cover up something despite the evidence having been there including minutes of the meeting.” added the former NetOne boss. Asked on his next move, Kangai said as a citizen he has done exceedingly what is expected of him. “I reported the matter to the economic intelligence of the government after having made submissions to the Chief Secretary to the President”. “I also submitted a document with evidence to the former President in 2016, they didn’t act and now they are after me” said Kangai. In his letter to the President, Emmerson Mnangagwa, Reward Kangai narrated the course of events which led to his firing from the post of Managing Director at NetOne. Kangai revealed incriminating evidence against Supa, showing invoices of millions of dollars siphoned from NetOne in some illicit deals with a Chinese company called Megawatt Energy. Kangai provided a copy of the invoice which showed a total amount of $USD4 million being paid to Megawatt Energy whose offices were said to be in Johannesburg, South Africa at that time. The money was however wired to a beneficiary in Mauritius under the name Sinergy Investment Holdings through a bank called AFRASIA Bank Ltd. using Account Number: 001600004209019. Reward Kangai further provided evidence of another company called Blue Nightingale Trading 906 which he said to have been used as a conduit in handling illicit deals with NetOne. The company profile however bears Minister Supa Mandiwanzira’s name as one of the Directors. With all the above evidence, Kangai is crucifying Mandiwanzira saying his dismal was unwarranted but rather fueled by a sinister motive to oust him from heading NetOne since he was against approving the illicit deals. In one of his arguments, Kangai stated that Mandiwanzira initiated a restructuring exercise aimed at overhauling the then NetOne management team in a bid to bring new management to the parastatal. 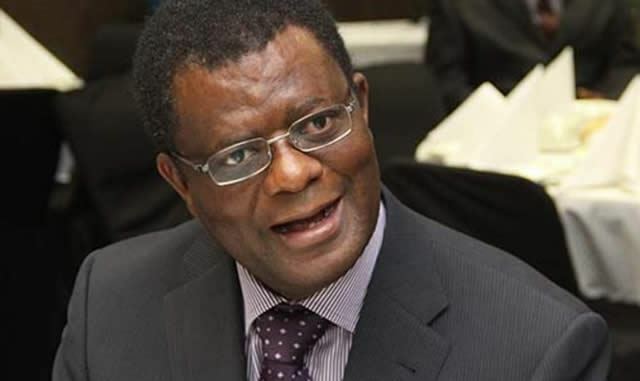 However, Kangai felt that the events that later unfolded suggest the re-structuring exercise at NetOne was meant to supplant management with the minister’s proxies. Kangai further states that Brian Mutandiro was later appointed COO of NetOne, when in fact, he didn’t meet the qualifications called for in the job advert. Mutandiro was later elevated to the position of acting CEO. Kangai further revealed that Kudakwashe Nyashanu was appointed Executive Human Resources at NetOne. Nyashanu was previously employed at Tarcon, a company in which Mandiwanzira has an interest.